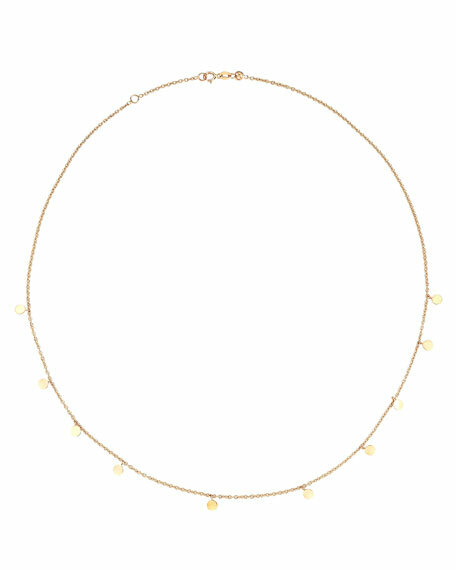 This necklace is elegantly beautiful with a contemporary edge. The hammered rose gold dangling discs reflect the light and creating a subtle sparkling effect. Perfect for layering with other necklaces. 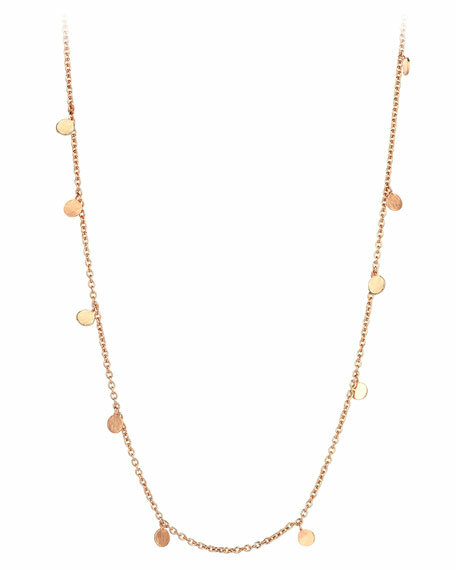 Kismet by Milka necklace from the Seed Collection. 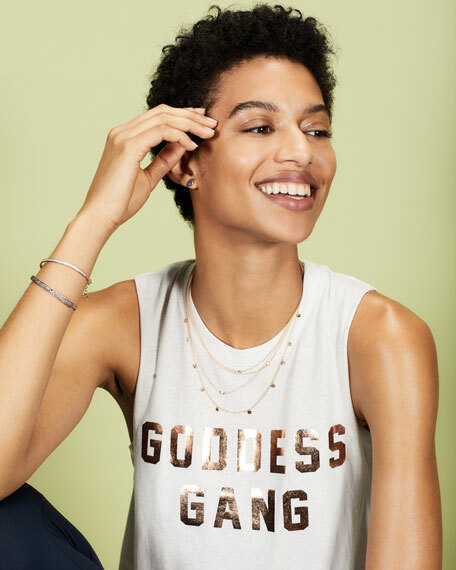 14-karat rose gold chain with scattered dangling circle charms. Spring ring clasp with two length settings.